Sometimes the most unlikely pets end up being best friends! Part of a special rainbow collection, perhaps this giraffe (Lofty Sunglow #3) and cheery bird (Saffron Flutterdust #4) were drawn together by their shared sparkly deco, in dazzling shades of golden yellow. 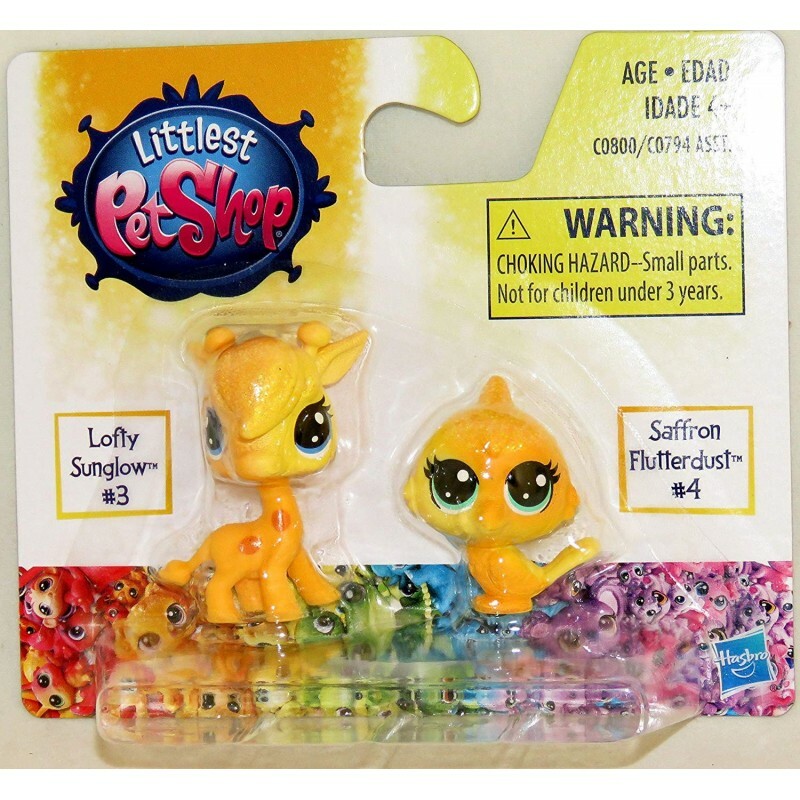 A colorful way to start -- or add to -- any LPS collection!